This is to inform the General Public and all prospective applicants for admission into various undergraduate degree programmes that pursuant to section 12(2)(a)(b) of the Universities Act, Cap. 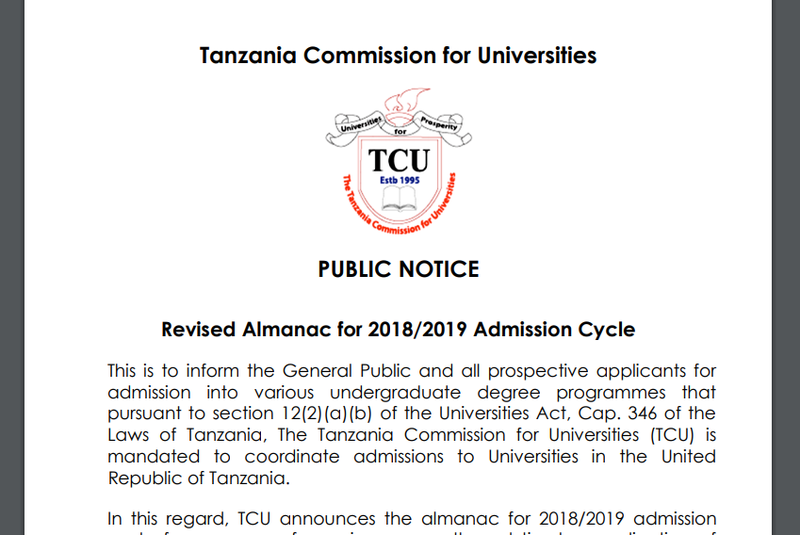 346 of the Laws of Tanzania, The Tanzania Commission for Universities (TCU) is mandated to coordinate admissions to Universities in the United Republic of Tanzania. 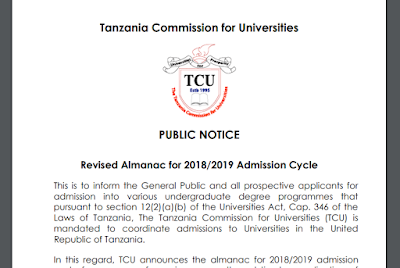 In this regard, TCU announces the almanac for 2018/2019 admission cycle for purposes of ensuring a smooth and timely coordination of admissions activities in Tanzania.